now that the short days are with us, it's time to hunker down in the workshop and plan for the lovely flying days (i wish) next year. This is all very encouraging. I've got a rather larger hemi semi (you get the idea) Red arrows Hawk on the go. After this years rather smooth flights with a genuine Jetex, this will be for a Jetex 50C, or if this doesn't provide enough oomph, a PAA loader. Note the trough is large enough to take a Jetex 50. All the bits seem to fit together OK, so if anyone fancies making a slice of British aeronautical history, please ask for the templates for the profile version, or if you are brave enough I can provide a 'hi-res' jpeg of the 'superscale' built up version..
Now I just have to build it! Anybody else out there with winter projects? 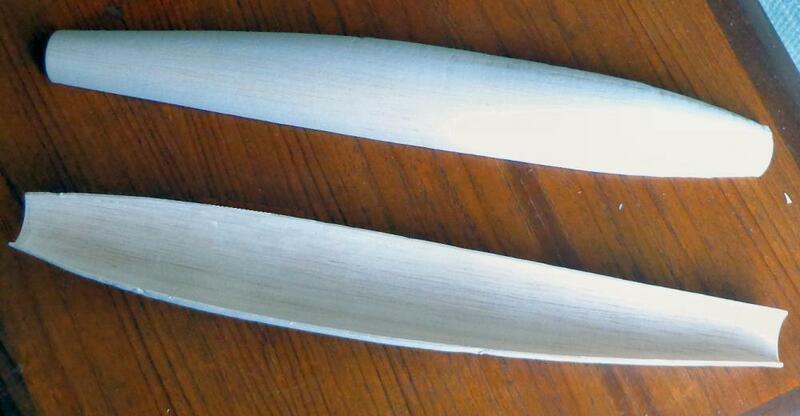 - we have stocks of Rapiers - so there is no excuse not to get busy! "I hope this thing flies after all the time I have squandered on finishing it, if it doesn't it will become a hangar queen and don't want that!!!! I have enjoyed dirtying up the undersides though as apparently the Phantom leaked like a sieve. 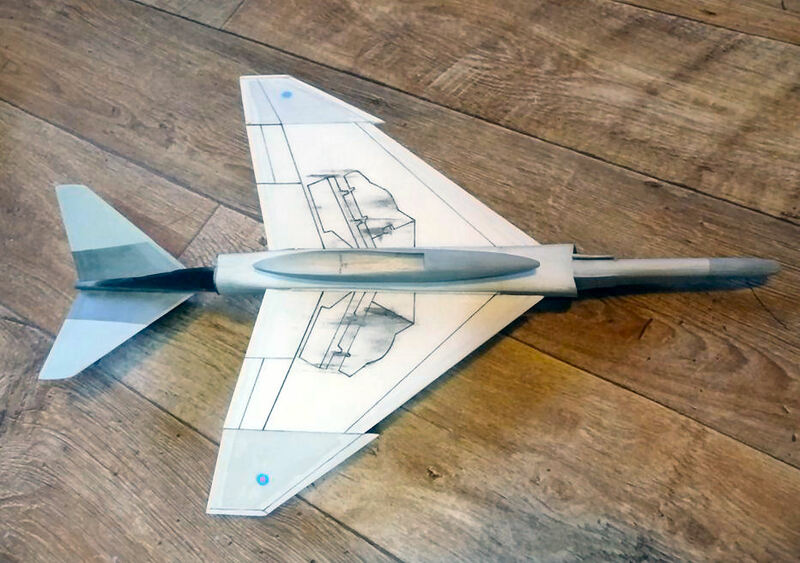 Just the fin to paint now, a few warning signs and the trough to line and it is done, weight as you see here is 33g (for comparison the finished Viggen with used Rapier is 32g). I'll get there eventually!" 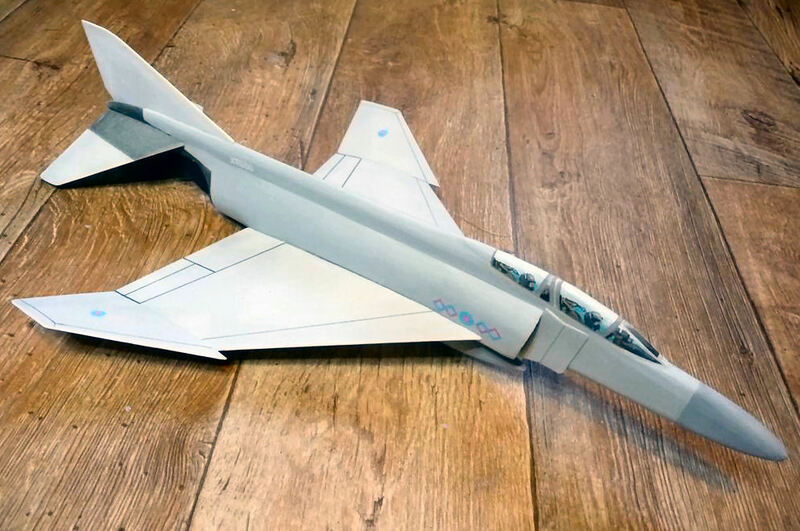 This looks to be good progress - I particularly like the idea of putting the Rapier motor in the scale-like pod. And I'm sure it will fly with enough oomph behind it. Having done the port side the starboard side should be easier as the dimensions have now been worked out. 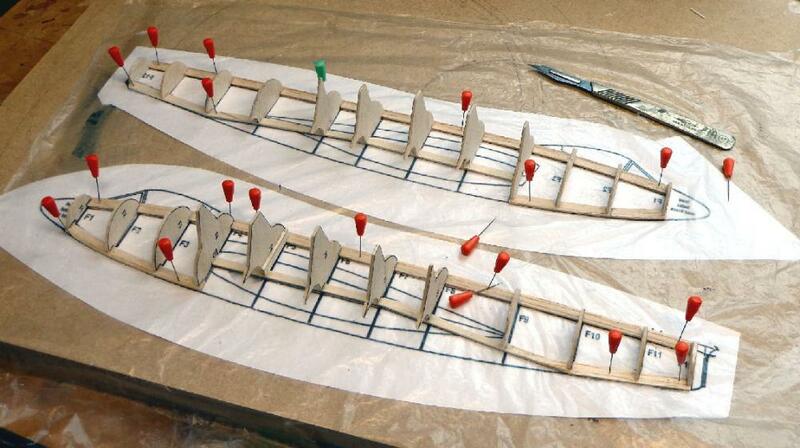 Note the sheeting around the wing roots, trough, nose, and where the fin will be slotted in. Not too bad, but I always 'over engineer' these things . Nevertheless it weighs a reasonable 13g so far. Anyone else out there building anything? "Hope you all had a good Xmas and still are still enjoying the break, here is what I have been up to over Boxing Day and Tuesday and few hours here and there since. At the moment I am waiting until I get the chance to replace my printer before I can finish my Phantom F4 and with time on my hands and feeling the need to build something over those two days (i.e. 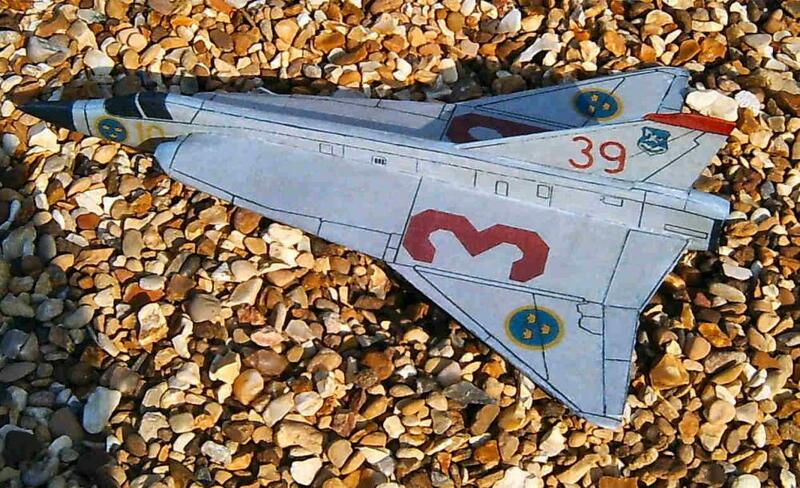 get my hands on some balsa rather than more painting and decorating even if it is a model) I luckily spied the tail end of my Mig 15 sticking out of box in what will be the new utility room. 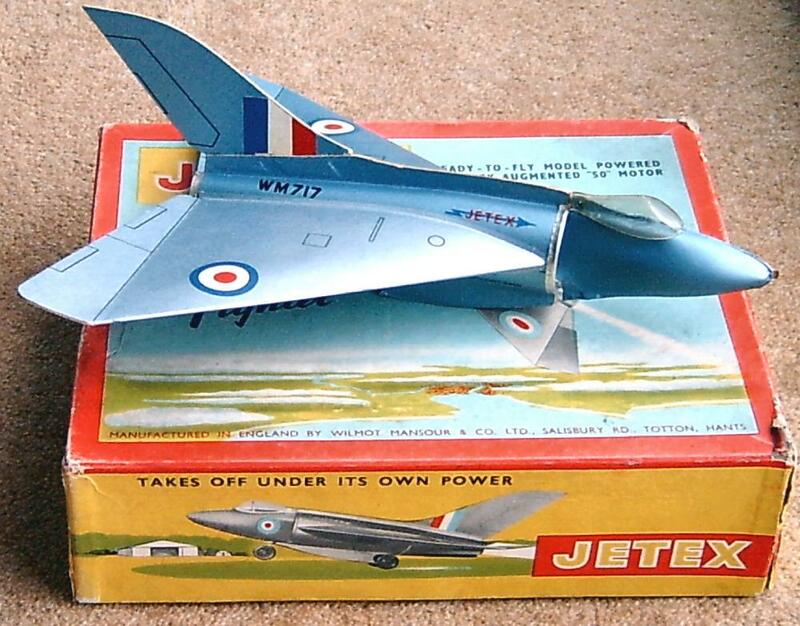 I first built it around 1999 I think and it has been well flown and crashed many times. 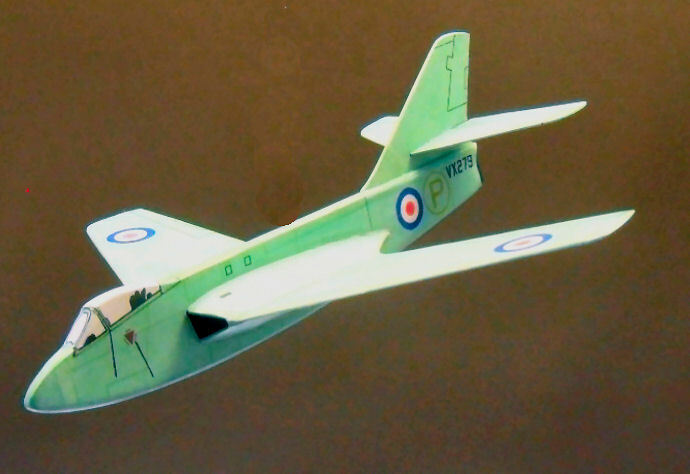 This is how it used to look even after the right hand wing had been patched up somewhat. Making and fitting the nose splitter after the fus. is completed built was fun, I will need to remove it again for painting and then glue it in permanently. Now I have to decide on the new colour scheme before I set to covering it, the same as before or something new, that is the question. Best regards and have a fun time over the New Year, Howard"
Howard is an example to us all - I hope to return to my P 1081 when the house is empty. Is anybody else out there building anything ... please let us know - it's getting quite lonely here! 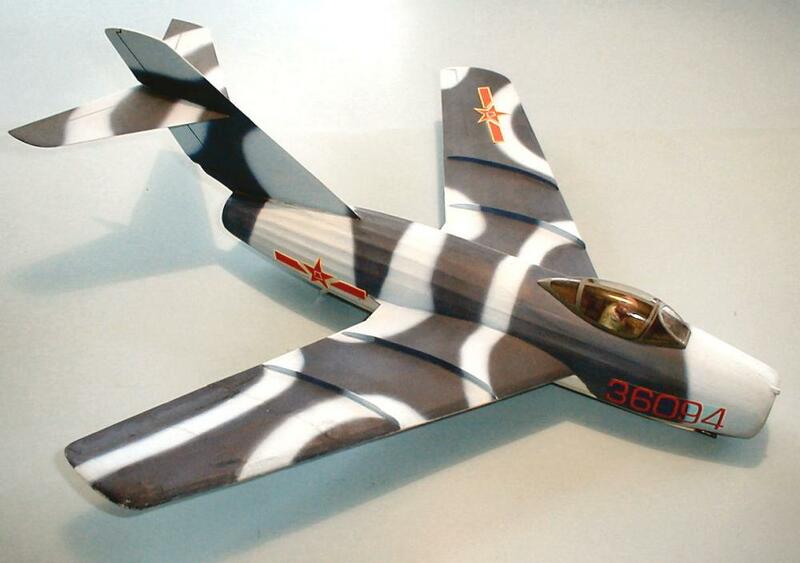 Now I'm not going to make any promises I can't keep but the MiG 15 is a subject I've never built. 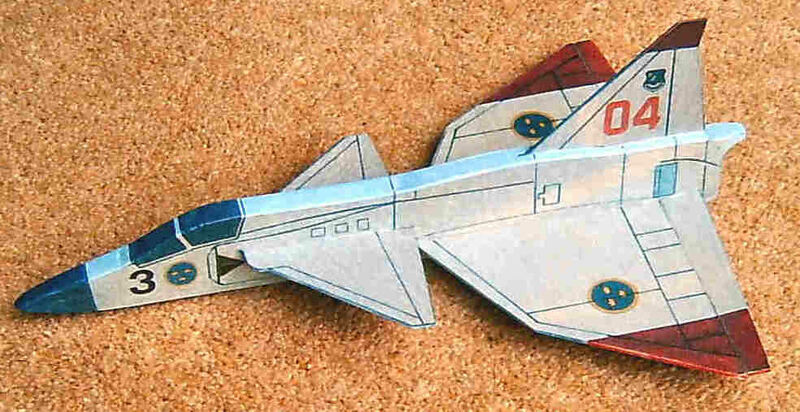 From what we see here and what I know of Roger's example, it flies as well as it is possible for a model to fly. However, the model railway is going to take priority as it's already been on the back burner for over a decade. It's true I put in a lot of occupational grunt which often leaves me spent, but I'll have to work smarter not harder. first, confession time. 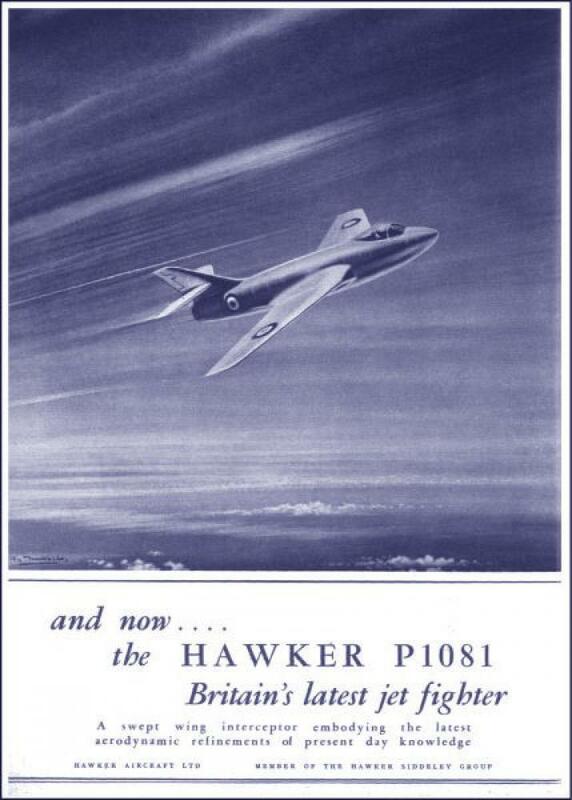 The stringered fuselage for the Hawker P 1081 didn't work out . The stringers were not as regular as I wold have liked and the whole thing was, at 15g, getting quite heavy. 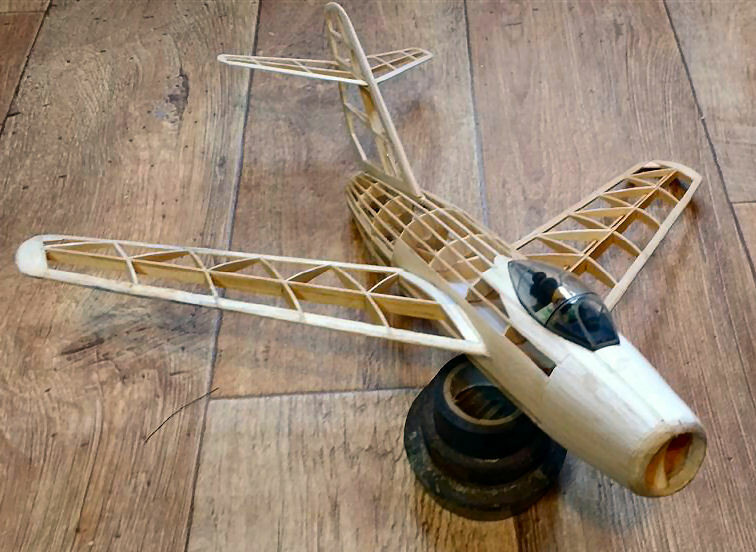 In frustration I decided to start again, with a moulded fuselage, that is, one without any stringers but an all-balsa shell like the Jetex Tailored models of yore. 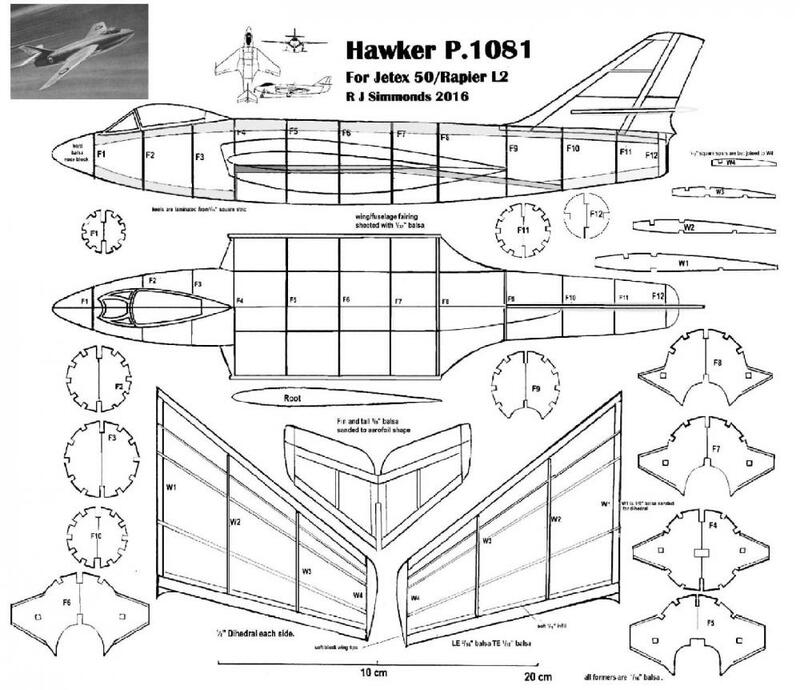 I have described the technique before (for a Draken) but here below is what I did for the P 1081. 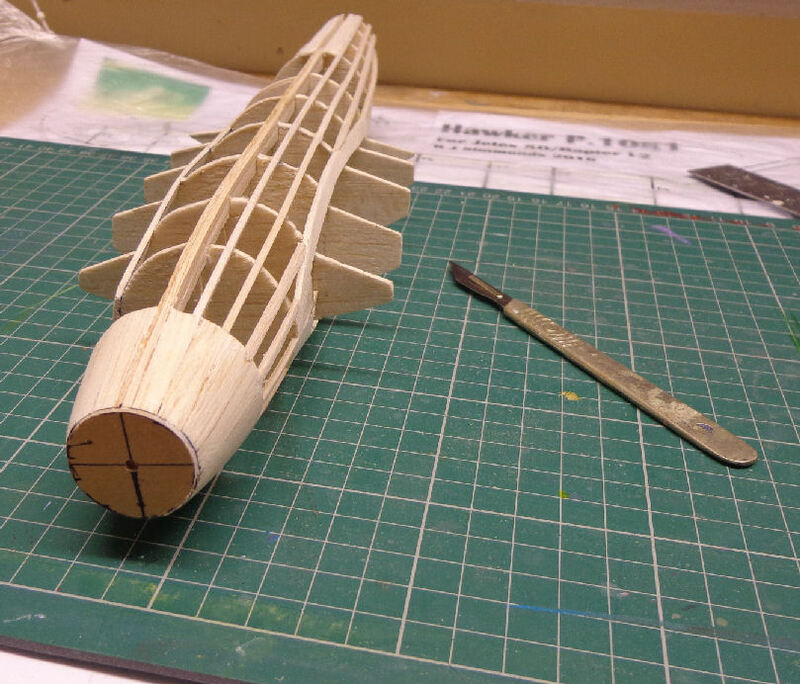 The moulds are 'tack-glued' to 1/2" balsa before the nect step. The still wet balsa sheet is then wrapped around the mould and quite tightly bound with flat rubber strip"
Above: not a mummy taken from an ancient Egyptian tomb but the 1/16" balsa sheet tightly bound to the mould. It is then left to dry for 12 hours (or so) in a warm place - say a radiator top. When completely dry the rubber is unwound and the shell carefully taken off the mould. The next bit is tricky: the shell is trimmed and pinned around the edges back on the mould and the surface wetted (hot water). Any slack in the shell is taken out by stretching over the mould and repinning. Hopefully, wetting the outer surface of the shell will remove the marks made by the rubber strip. 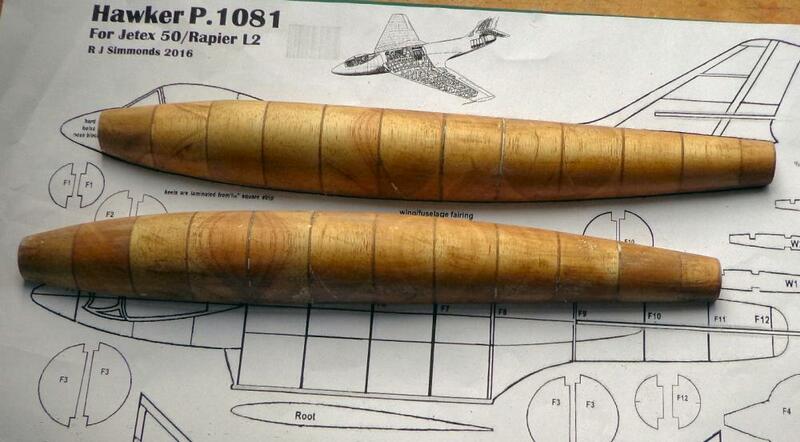 Above: shells for the P 1081 fuselage. 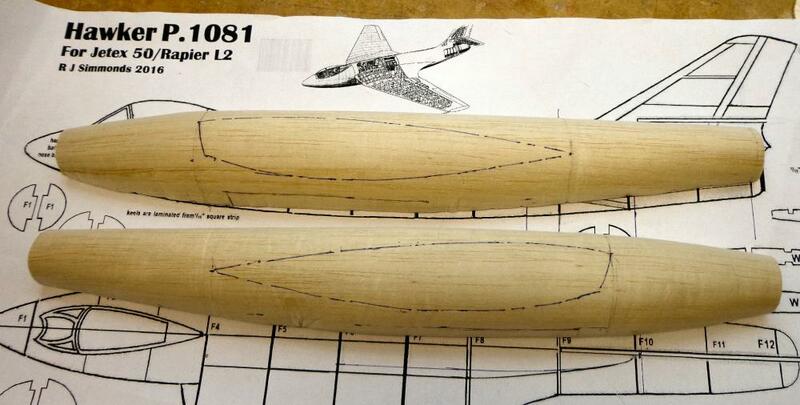 Some of the compound curves in the prototype are quite large, so the balsa did 'pinch' in places. Hopefully these can be sanded out later. The worst of these ( I should have cut in darts) are fortunately on the underside and will be cut away later for the motor trough The shells weigh about 3.6g each - quite pleasing. 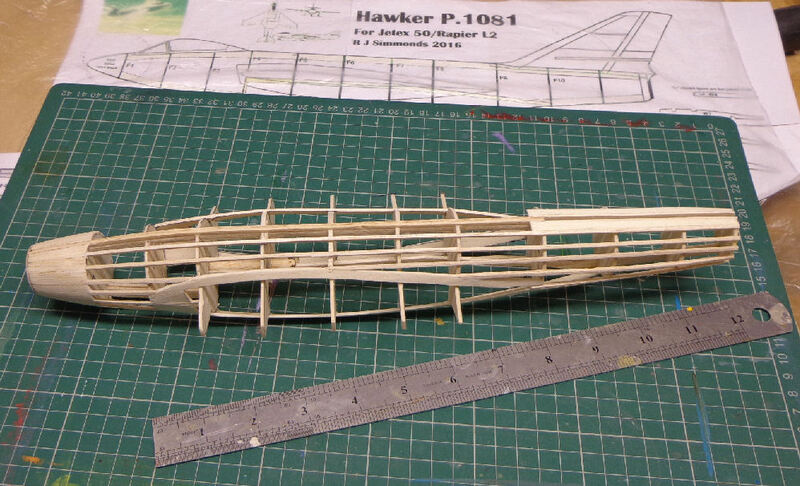 So this is some progress - next, making a fuselage frame the shells can be glued on to. 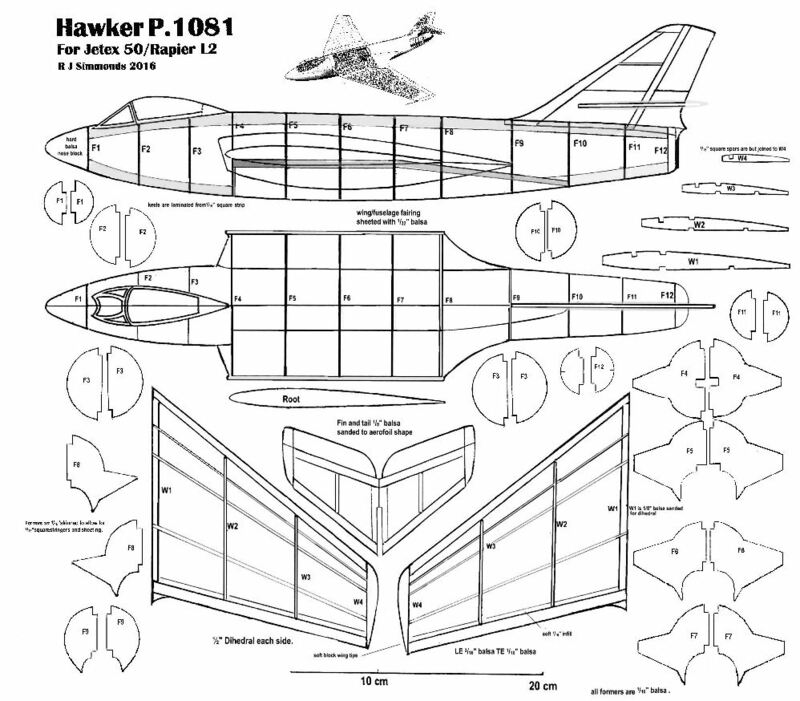 Progress with the P.1081 has been slow but steady. Above: formers at front and rear and in strategic places, eg, wing leading edge. 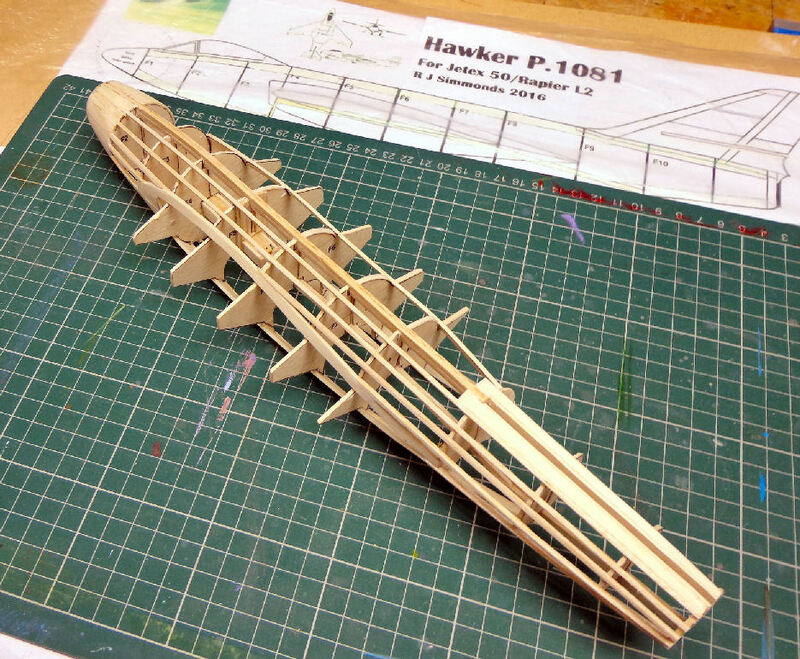 Note the balsa strip to support the motor mount and the outline of the trough and the cut out for the fin. At this point the shells weigh 11g in total - not too bad. Above: the fairings will be cut out later (saving more weight). 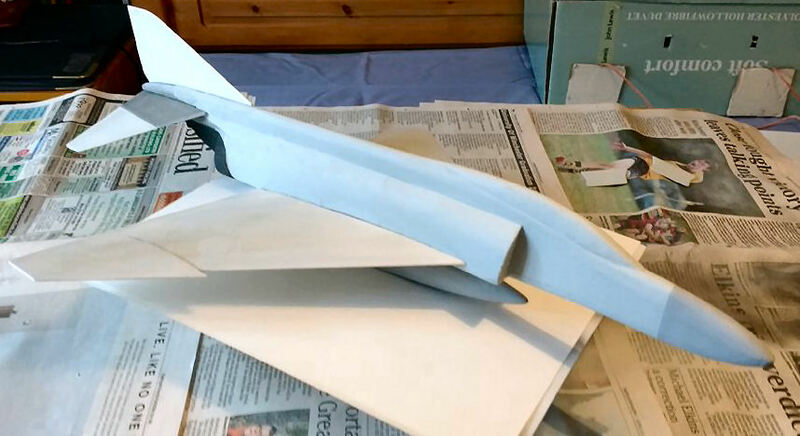 Next job is to make the wing fairings - an easy task (I hope) compared to the fuselage!